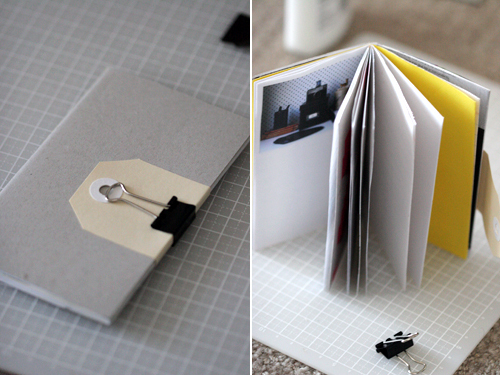 FIKS*D: An easy way to make cute notebooks! Better late than never I guess.... I am finally getting around to making the rest of my 30 Days of Creativity things before I do the giveaway. Click below for the how to. 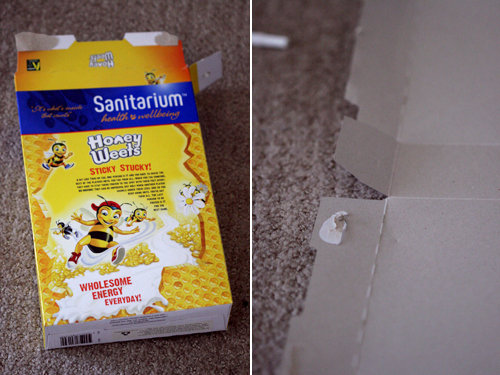 Glue something nice on the printed side of the cereal cardboard (unless you want the cereal box look). You can make the brown the inside or outside of the cover, your choice. Cut the inside pieces to size. As you can see, I chose a range of papers, including some images and lined paper for variety. Score the middle of the cover with a bone folder (if you don't have one, use the back of a butter knife like me), and inside papers if you want. I didn't do this but had to go through and fold the papers to make them lay flat after I bound it. Sew along the score line. 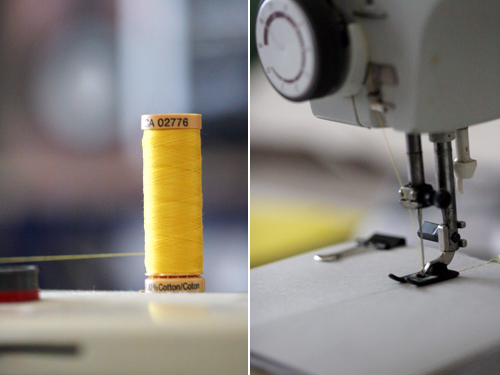 I used a lovely yellow thread to go with the yellow I used inside. Get creative, red would be nice, or brown to keep it natural looking. 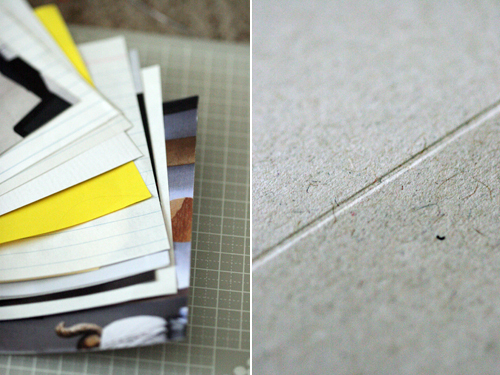 Once you fold the book in half you may have some of the inside papers sticking out past the cover - never fear, this is where trusty sharp knife comes in! Get your ruler, line it up against the edge of your cover, press down firmly and trim off the edges. 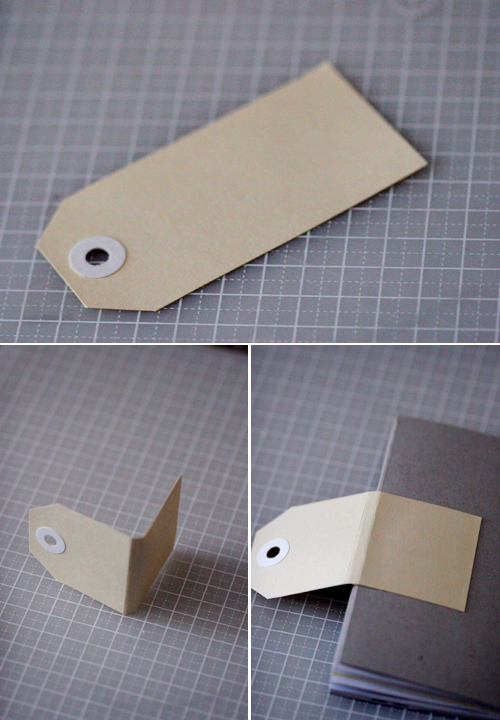 Take your shipping tag and score two lines wide enough to fold around your notebook - this will vary depending on how much paper you used. You could even sew the tag on if you wanted more sewing detail. And you're done! Fill it with whatever your heart desires.. Don't be scared, just do it! Just adore the idea of the bulldog clip, how creative! 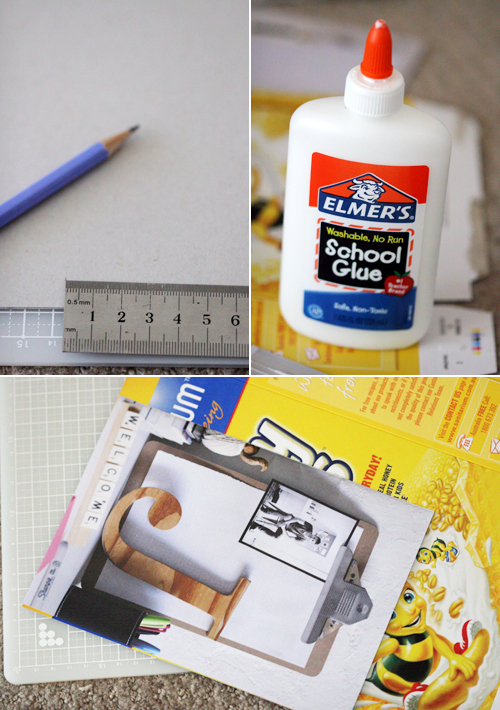 Such a cute notebook DIY project. Creative.